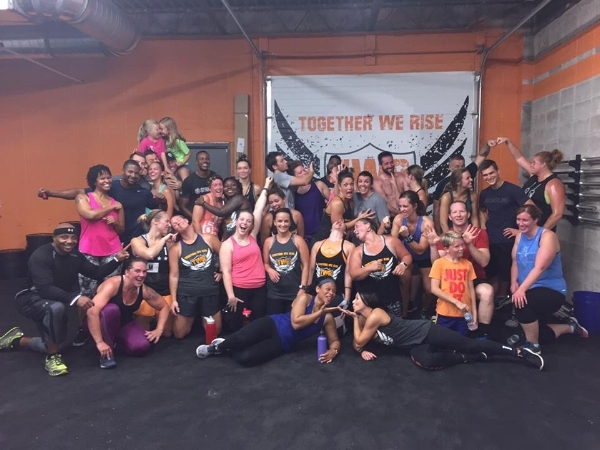 Together We Rise (TWR) CrossFit is a community of real people from all fitness levels, supporting each other on the journey towards a strong life. Whether you're a seasoned athlete or just beginning your fitness journey, you are welcome at TWR. COME CHECK US OUT! Click here to try a free class! At TWR CrossFit, we have a mission: Building strong people, physically and emotionally, so they can pay that strength forward into the Indianapolis community. "Together We Rise" is a way of life for our members, and we invite you to join us. COMMUNITY - We believe in having an incredible support network to help you succeed. From accountability partners in class to "bring-a-friend" Super Saturdays and our monthly community nights, you'll be connected and among friends. COACHING - Having a great workout plan is nothing without the skill to do it right and the motivation to take it to the next level. Our coaching staff has more than 15 years of combined CrossFit experience to help you reach, and exceed, your goals. THREE-TRACK CLASS PROGRAMMING - Whether you're on the beginner track, intermediate or competition, our CrossFit class programming is designed to meet you where you're at and push you to where you want to be. Completely new? We'll help you get started. Want to compete? We'll help to prep you for it. And if you're somewhere in between, we've got intermediate options as well. Not sure where to start? Click here to contact us. We're ready to help you begin, continue or advance your CrossFit journey.